In this trip, I will take you to Samut Songkhram to visit the Tha Kha Floating Market, Maeklong "Umbrella" Railway Market and a Buddhist temple! Here you can do some shopping and try local Thai food! Visit Tha Kha Floating Market, a traditional floating market where you'll witness the local way of life. 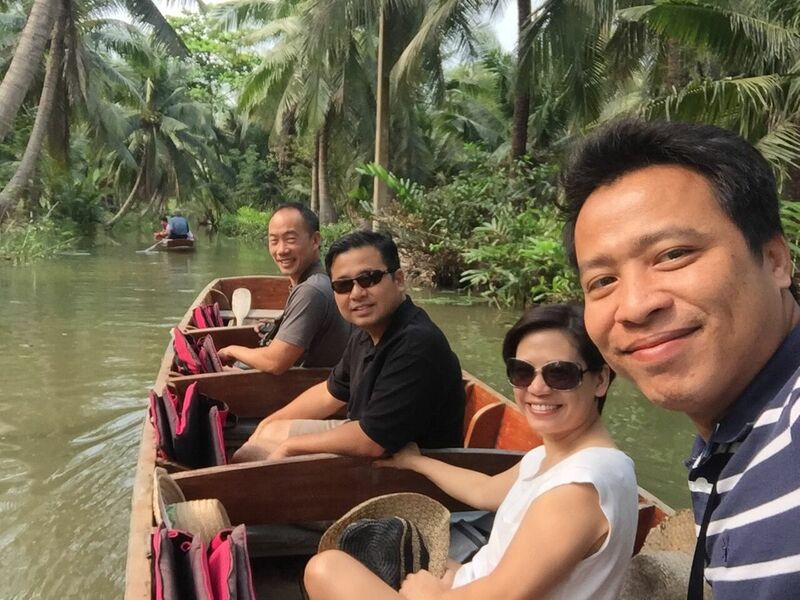 Then, take a boat along the canal to visit a coconut farm! You can experience traditional sugar-making, and see how the locals live here! Let's try some food in the floating market! There are so many types of food to choose from! Don't know what to try? Don't worry! I'm here to help! Let's go to the Maeklong "Umbrella" Railway Market, where fresh meat, vegetables, and fruits are sold right by the railway! Shoppers here are advised to walk 1 meter away from railway, as the train will pass through the market at any moment! It's time to return to Bangkok! Arrive at your hotel. I hope you enjoyed my trip! Have a great day! If you're in Bangkok and would like to spend a day exploring local cultures in this small town nearby this trip will be your perfect in Samut Songkram province.